Did you or your loved one recently suffer a traumatic brain injury (TBI) or spinal cord injury (SCI) as the result of an accident caused by the negligence or deliberate conduct of another party? You should know that you could be entitled to compensation for the multitude of expenses you are likely facing for rehabilitation or daily care needs. Holding a liable party accountable can be difficult in these types of cases. You will want to contact Farris, Riley & Pitt, LLP for assistance filing these types of legal claims and recovering as much compensation as possible. 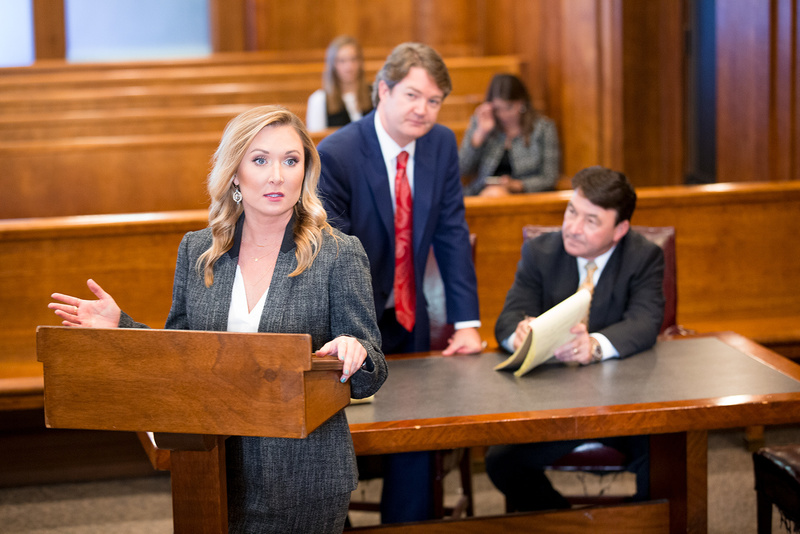 Our Birmingham brain and spinal cord injury attorneys are committed to getting justice for people in Birmingham and all other surrounding areas of Jefferson County. We have been handling catastrophic injury claims involving a variety of accidents for more than 20 years. Any person who sustains a TBI or SCI will face an entire lifetime of recovery efforts. Farris, Riley & Pitt, LLP can provide assistance with your legal claims when you call (205) 324-1212 to take advantage of a free consultation. Why Do I Need a Brain and Spinal Cord Injury Lawyer? After a traumatic brain injury or spinal cord injury, an insurance company for the negligent party will very likely contact you to discourage you from bringing attorneys into your matter. More money for you, they might say. Nothing could be further from the truth. Their only goal in negotiating with a traumatic brain injury or spinal cord injury victim is to get that person to agree to a settlement that is typically far less than what they are actually entitled. Worse yet, the agents for insurers often get victims to unknowingly make recorded statements that irreparably damage their injury claims. You can avoid these types of issues by simply hiring a skilled personal injury lawyer. Farris, Riley & Pitt, LLP can immediately handle all communications with insurance companies on your behalf. We will negotiate a fair and full settlement that covers all of your past, present, and future needs, and our firm can file a lawsuit when no satisfactory offer is made. People diagnosed with TBIs or SCIs often face entire lifetimes of medical and rehabilitation expenses. Farris, Riley & Pitt, LLP has obtained multiple verdicts and settlements in excess of $1 million for these types of clients. Our firm will not only work closely with your medical provider, but we will also consult esteemed experts in order to achieve the most favorable possible outcome to your case. We are passionate about determining the reasons for the types of accidents that cause these kinds of injuries. Kirby Farris and Ken Riley are both lifelong Alabama residents who now reside in Birmingham. They are committed to helping the people they consider their friends and neighbors. You should also know that Farris, Riley & Pitt, LLP provides legal representation on a contingency fee basis, meaning you only pay us when you receive a monetary award. Call (205) 324-1212 today to have our attorneys review your case and discuss all of your legal options during a free consultation. Following many of these types of accidents, it is not uncommon for the insurance company of the liable party to question the severity of the injury claims. Victims can often be required to submit excessive numbers of medical records. Traumatic brain injury victims and spinal cord injury victims face some similar journeys on the road toward recovery, but each injury involves its own unique symptoms and complicating factors. TBIs are far more difficult to prove because they rarely involve the types of visible physical signs of injury common to so many other afflictions. TBIs can result in a wide variety of constant symptoms that may include headaches, dizziness, nausea, vomiting, and memory loss. Some TBI victims require full-time daily assistance, even with regular activities. In many other cases, the cognitive effects of TBIs permanently impair a victim’s ability to return to their job or to seek employment. Spinal cord injuries are categorized by whether a victim’s injury is considered complete or incomplete. An incomplete spinal cord injury is a partial severance of a spinal cord and the victim usually retains some function below the affected area, but a complete spinal cord injury is the full severance of a cord and causes loss of all feeling and ability to control movement below the affected area. Cervical (C1 – C7) — The site of the most severe injuries is typically in nerves C1 –C4. This is the uppermost region of the spinal cord, and injuries may result in paralysis in the arms, hands, trunk, and legs. Thoracic (T1 – T12) — Injuries to nerves in the middle of the back can affect a person’s legs and feeling below the waist, but hand and arm function is often unaffected. Lumbar (L1 – L5) — Lower back injuries also affect body functions below the waist. Sacral (S1 – S5) — Injuries to the lower end of the spinal cord can also affect parts of body below the waist, but many victims are able to walk again. Coccyx — Otherwise known as the tailbone, coccygeal segment injuries may involve pain but do not usually affect function. Examples of incomplete spinal cord injuries include Brown-Sequard syndrome, anterior cord syndrome, and central cord syndrome. Complete spinal cord injuries include tetraplegia or quadriplegia (paralysis of all limbs), paraplegia (paralysis of the legs and the lower half of the body), and triplegia (paralysis of one arm and both legs). What is the difference between a contusion and a concussion? Contusions and concussions share common causes in that both injuries are TBIs that usually involving some kind of impact with a person’s head. A contusion is a bruise in the brain that is often localized. A concussion is more widespread, involving a generalized lesion. While a person may experience a contusion without a concussion or vice versa, many serious TBIs typically involve a victim experiencing both. Spinal shock involves the loss of reflexes or motor and sensory function below the level of a spinal cord injury. In most cases, spinal shock occurs suddenly or within a few hours but it does not necessarily result in medical condition of shock. Some reflexes may return during spinal shock, and some victims may not even realize they are in a state of spinal shock. TBIs are caused by external force to a person’s head, while acquired brain injuries are the result of other types of damage that occurred after birth. Whereas TBIs include the frequent reasons listed above, some of the common causes of acquired brain injury include strokes, near drownings, tumors, heart attacks, and other medical conditions affecting the brain. According to the Centers for Disease Control and Prevention, TBIs contribute to about 30 percent of all injury deaths, and 153 people in the United States die every day from injuries that include TBIs. A December 1999 report to Congress stated that of the annual estimated 1.5 million Americans who sustain a TBI, 50,000 people die and the 230,000 who are hospitalized and survive includes 80,000 to 90,000 people who face the onset of long-term disability. The CDC reported that roughly 2.8 million TBI-related emergency department visits, hospitalizations, and deaths occurred in the United States in 2013, contributing to the deaths of almost 50,000 people. According to the CDC, TBI was a diagnosis in over 282,000 hospitalizations and 2.5 million emergency department visits (either TBI alone or in combination with other injuries). The National Spinal Cord Injury Statistical Center reported that the annual incidence of spinal cord injury is approximately 17,000 new spinal cord injury cases each year (or approximately 54 cases per million population) in the United States. The estimated number of people in the United States living with a spinal cord injury is approximately 288,000 persons, but it may be as high as 358,000 persons. According to the NSCISC, motor vehicle crashes are the leading cause of spinal cord injuries, involving 38.3 percent of cases since 2015. Next are falls, which cause 31.6 percent of overall spinal cord injuries. The World Health Organization reports that as many as 500,000 people around the world suffer from spinal cord injury. Their statistics show that people with a spinal cord injury are two to five times more likely to die prematurely than people without an SCI. For more than two decades, Farris, Riley & Pitt, LLP has been fighting to protect the rights of people with catastrophic injuries such as TBIs and SCIs. Our lawyers know how many ways victims have their lives irrevocably altered and work to provide as many solutions as possible. If you or your loved one suffered a traumatic brain injury or spinal cord injury as a result of an accident caused by another party’s negligence in Jefferson County, you will want to be sure to contact Farris, Riley & Pitt, LLP. Call (205) 324-1212 or contact us online today to have our attorneys provide a complete evaluation of your case during a free consultation.